Mill Street Brewery will add a new dimension to the Mill Street Brewpub experience this spring with the launch of The Beer Hall. Set to open in April with a Grand Opening party on Thursday May 23rd, The Beer Hall will continue the fun and lively atmosphere of the Mill Street Brewpub with a contemporary new take on the beer hall concept. 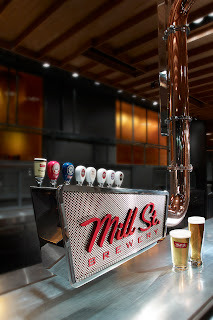 Using a sophisticated draught beer delivery system, The Beer Hall will offer a selection of Mill Street beers pumped from the brewery through copper encased beer lines. The delivery system will also service a copper still that will be used to distill Mill Street's new bierschnapps. 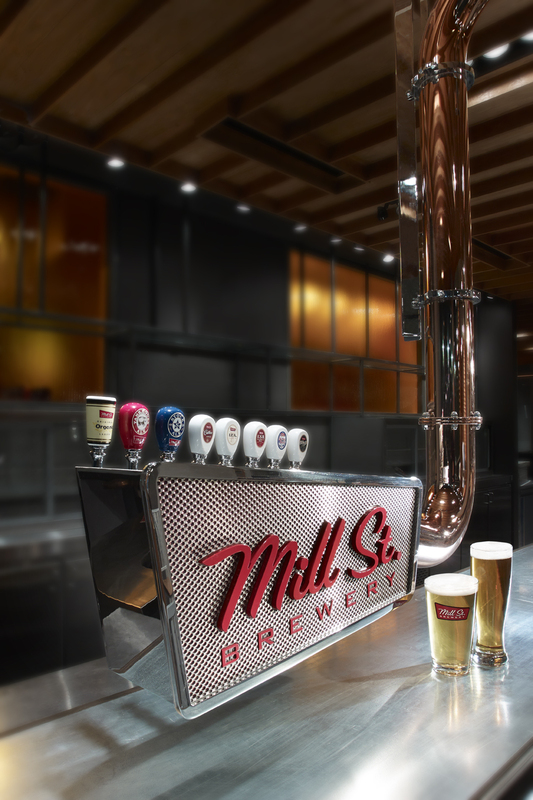 Created from Mill Street’s award-winning craft beers, the Mill Street Bierschnapps, a traditional German style dry spirit, is a first for Canadian craft brewers. 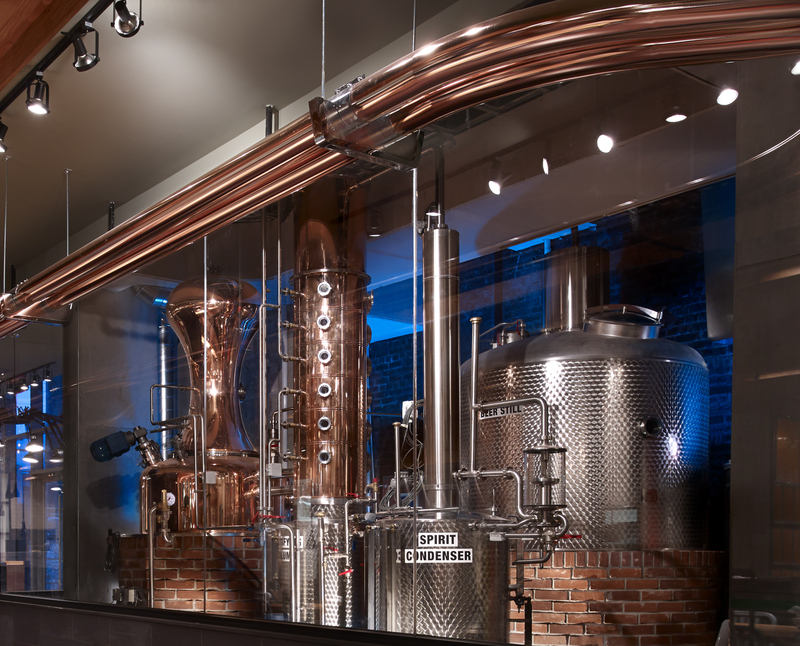 The production of Bierschnapps brings back a 150 year old tradition of distilling to Toronto’s historic Distillery District. Elizabeth Rivasplata will be heading up the kitchen of The Beer Hall. Elizabeth, who was a contestant of Top Chef Canada, has created a menu designed for sharing. Most items on the menu have been combined with beers by Mill Street's Brewmaster, Joel Manning who will also be introducing three new beers for the opening. Inspired by the social atmosphere of The Beer Hall, the accessible menu will emphasize quality and local produce. The Beer Hall at Mill Street Brew Pub will also feature a spectacular 100 foot courtyard patio. The wood and glass covered patio will include an outdoor bar connected to the draught beer delivery system. 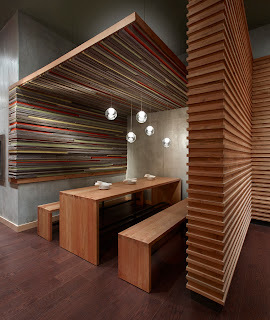 A floor to ceiling sliding glass door system will transform the Beer Hall when opened to the lovely patio. The patio is due to open mid-May in time for The Beer Hall’s grand opening party.